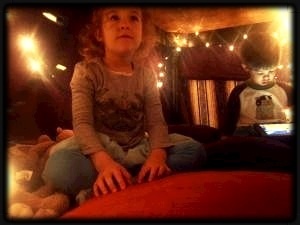 Built a cool fort keep these two goons occupied while I was in the shower. All this place needs is a sitar and some incense. 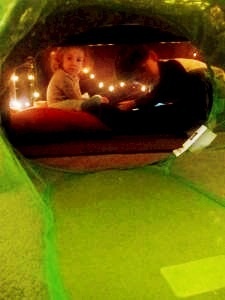 Through the rabbit hole. $5 cover at the door.